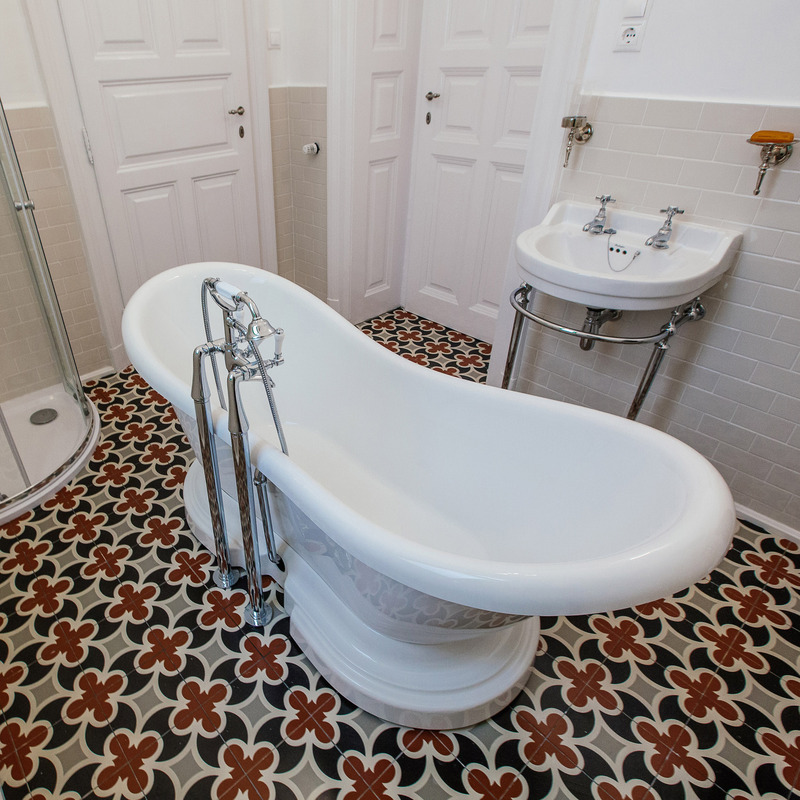 In the buzzing city of Budapest you will find grand old buildings full of traditional character and recreating a bathroom to complement this charming city requires an elegant yet striking touch. Stephen has been a trade customer for several years and renovates properties within the UK and Hungary. He found himself renovating this bathroom and decided to use our products and international delivery service to complete the project. 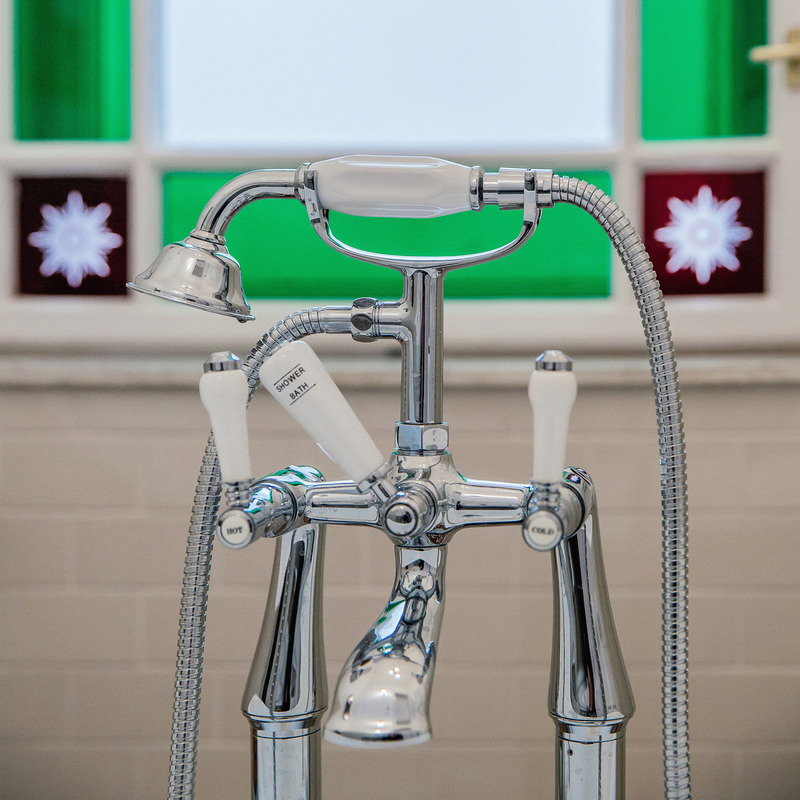 Stephen has used traditional bathroom products to excellent effect here and the freestanding bath is totally transformed with the addition of the the luxury Lancaster Traditional Freestanding Bath Mixer and Shower Kit. 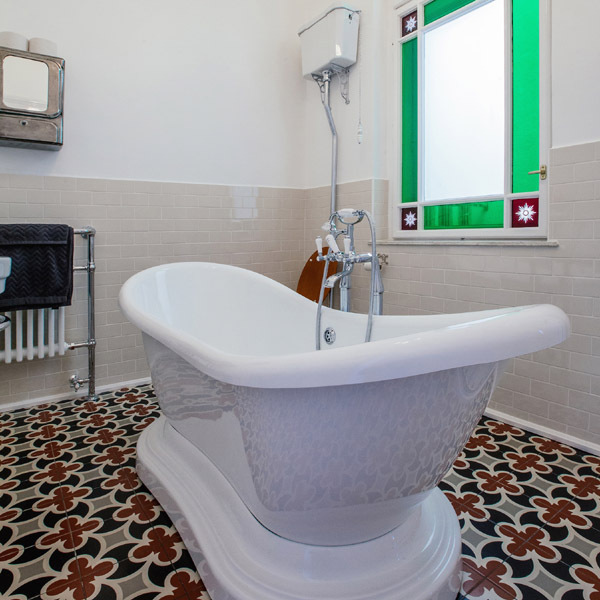 The traditional high level toilet really emphasises the authentic traditional feel of this bathroom and stands out beautifully next to the colourful feature window. Stephen also carried this same authentic design into a secondary bathroom. 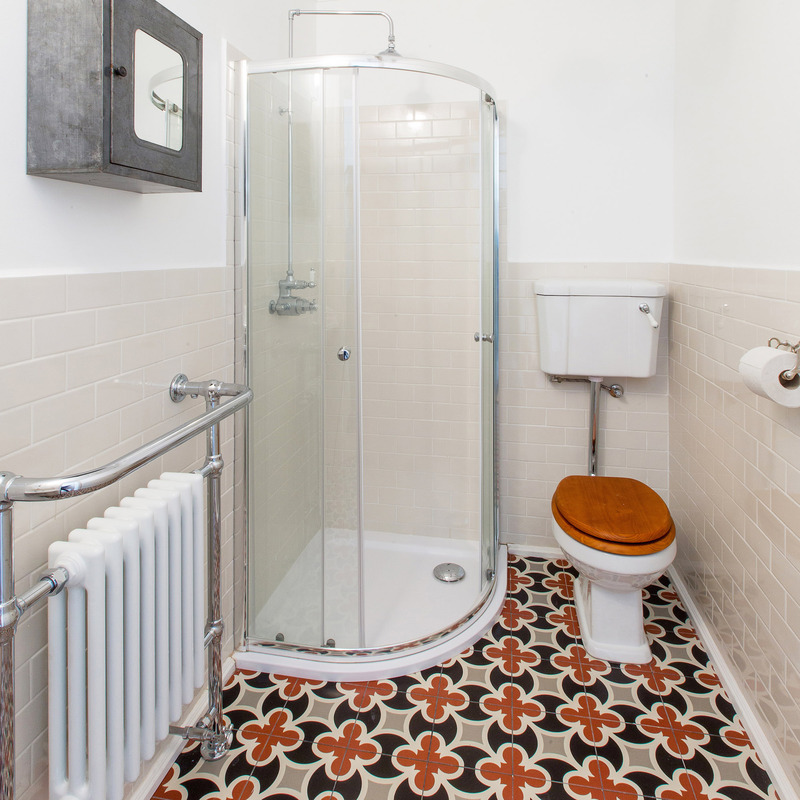 This smaller traditional bathroom is finished beautifully with the same quadrant enclosure with rigid riser shower as well as the traditional low level toilet and column radiator. This ensures that the authentic Hungarian theme carries throughout the building creating a real wow factor.